Eurowings will begin its new, non-stop service between New York and Düsseldorf, Germany, on April 28th. Europe’s fastest-growing airline, and a Lufthansa Group subsidiary, operates long-haul flights from its Düsseldorf and Munich hubs, where it offers connections to other destinations throughout Europe. New York City mayor Bill de Blasio has announced that 2017 was the eighth consecutive year for record-breaking tourism, with the city welcoming an estimated 62.8 million visitors last year. Empire State Development has announced that Ross Levi has been promoted to executive director of tourism. He will lead the iconic I Love New York tourism program and help coordinate marketing efforts to increase awareness and promote state-wide tourism visitation. Work is well underway to turn the legendary TWA Flight Centre at JFK International Airport into the world-class, 505-room, TWA Hotel. Closed to the public since 2001, Eero Saarinen’s internationally-revered mid-century modern landmark will be ushered into a new life, mirroring its 1962 design aesthetic and delivering an on-site airport hotel. 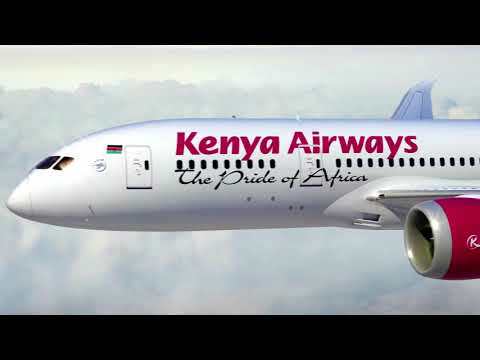 Kenya Airways today marked a great milestone, with the launch of a non-stop flight from Nairobi to New York. The national carrier starts selling today tickets for the inaugural flight - scheduled for October 28th. NYC & Company has revealed a new global tourism campaign entitled True York City, with advertisements and promotion now live around the world. Pod Brooklyn has opened its doors in the heart of the lively Williamsburg neighbourhood, introducing the next generation of innovative properties from BD Hotels in partnership with CB Developers. NYC & Company president Fred Dixon has said the city remains safe following the deadliest terrorist incident in the US tourism capital since the September 11th attacks in 2001. The Roger Smith Hotel is that all-too-uncommon thing: a family-owned hotel in 21st-century, Midtown Manhattan. Colour and creativity shine amid the surrounding skyscrapers and concrete. Here Breaking Travel News reporter Eleanor Hawkins finds out more. Made Hotel has come to life as the inaugural hotel project from developer Sam Gelin reaches fruition. Spread across 18 stories with 108 guest rooms at the intersection of 29th and Broadway in the NoMad neighbourhood, Made takes a reinvented approach towards guest experience. BD Hotels has announced the appointment of Effie Tsavalias as general manager of Pod Brooklyn, opening this September in the Williamsburg neighbourhood. Tsavalias brings a wealth of knowledge to her new role from previous hospitality experience and will oversee all aspects of hotel operations at the 249 room property.